first time I met Heather Balogh Rochfort. 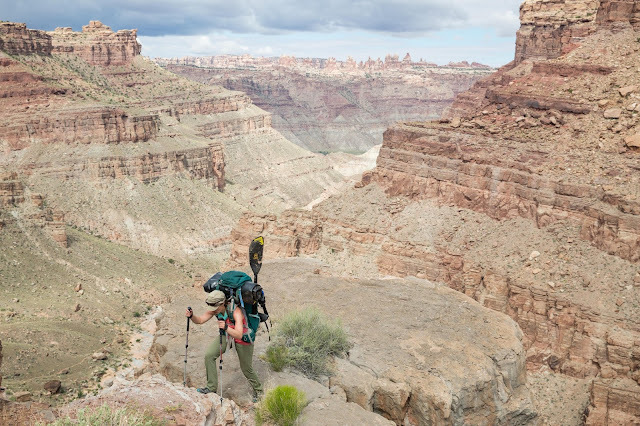 I was introduced to her on a trip to the Grand Canyon as part of a social media influencer experiment conducted by Columbia Sportswear, the #OmniTen. Her infectious energy, storytelling ability, and general zest for life made her an ideal hiking partner, and we've stayed close friends since that incredible adventure nearly five years ago. We've traveled to places like Yellowstone and Grand Teton National Parks, I've consulted her about all things Colorado for trip planning, and now, I'm stoked to share more about her latest big adventure - her first book! 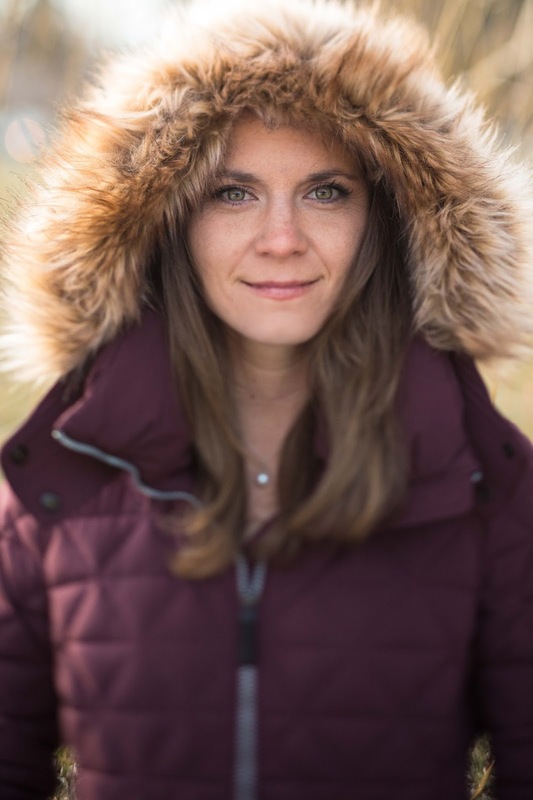 Read more about Heather, and scroll down to enter to win a copy of Backpacking 101. AI: How did you get started backpacking? Heather: In college, I hung out with a group of guys enamored with the mountains. Coming from 20 years of dancing, of course, I decided to tag along. On one of my first trips, we decided to pack the full distance (~18 miles) into Chicago Basin in the San Juans of Colorado. Locals will know this is ridiculous because there is a train that drops you off at the junction of the Animas River and Chicago Basin trails, eliminating 10 miles of a not-so-great desert slog. But we were young, dumb, and in college, so we opted to skip the train to save money. Even better? We thought we could handle all 18 miles in one day, carrying packs laden with canned food and cast iron pans. Needless to say, my introduction to backpacking was questionable at best. Live and learn, right? Thankfully, I found the basin and peaks to be so beautiful and awe-inspiring that I (temporarily) forgot about the sufferfest. I was so enamored that I wanted to learn more about backpacking! AI: What's the silliest mistake you've ever made backpacking? Heather: The canned food and cast iron pan debacle on my trip to Chicago Basin takes the top spot. How did I ever think that was a good idea?! I also completely forgot to bring sunscreen when I climbed Mt. Rainier. I fried my face on the first day en route up the glacier to Camp Muir, so I spent the week looking like a glow worm. As the icing on the cake, a little girl saw my peeling and raw face on a plane back to Denver....and started crying. AI: What's your favorite backpacking hack? Heather: I have two. First, hot water in a Nalgene for warmth at night. Boil some water, pour it into your Nalgene, seal the lid tightly, and then chuck it into your sleeping bag with you. If you zip up your bag quickly, that Nalgene will heat your sleeping bag till dawn. Sometimes, it keeps me too warm; I've definitely woken up in the middle of the night gasping for cool air! Second, I'm a huge fan of using pre-packaged dehydrated meal bags as trash bags. They're strong, sturdy, and resealable so you can safely pack anything inside them without concern of it escaping inside your pack. And, since they are opaque, they work great for women who have their period and need a discrete place to stash used tampons. AI: What's the most important thing a beginner backpacker should know? Heather: Whether you're brand new or have been packing trails for decades, there will always be a time on a trip when you are downright uncomfortable. It happens. But those moments of discomfort will challenge you and help you grow in more ways than I can begin to describe. AI: What made you decide this book needed to be written? Heather: There are a lot of people that want to get into backpacking and simply don't know where to start. My hope is that by breaking down the basics into snackable bits of information, people will be less intimidated. I mean, you can walk into any local REI and the terminology in the tent section alone is enough to make your head spin. And that's just one piece of gear! My hope is by thoroughly explaining everything, I'll help more people learn to love the Great Outdoors. People who love Mother Nature respect the wilderness and as a result, take care of our wild places. In helping to curate more lovers of backpacking, I'm hoping that I'm also developing a future generation that will protect these public lands that we all play in. Enter to win a copy of Heather's book, Backpacking 101! To celebrate the publication of Heather's first real live book, we teamed up to give away a copy to one lucky reader. The giveaway is open to residents of the United States and Canada. The winner will be contacted based on entry method on May 17th. And if you don't win, you can always grab a copy on Amazon. Good luck!